There were many wonderful things that took place that will be covered in this update, including two large events – one of which actually happened in June – but I wanted to report now so the students of that school could get recognition before the end of the school year. I’ll cover the May happenings first. Over the past two years we have held six Literacy Days in which some of Canada’s best known children’s writers/illustrators and musicians have donated time to present to students with the proceeds going to The Creation of Hope. Three of these days, last school year, were in Hamilton and this school year we had two in Toronto and our final event was in Oshawa, hosted by the Durham District School Board. 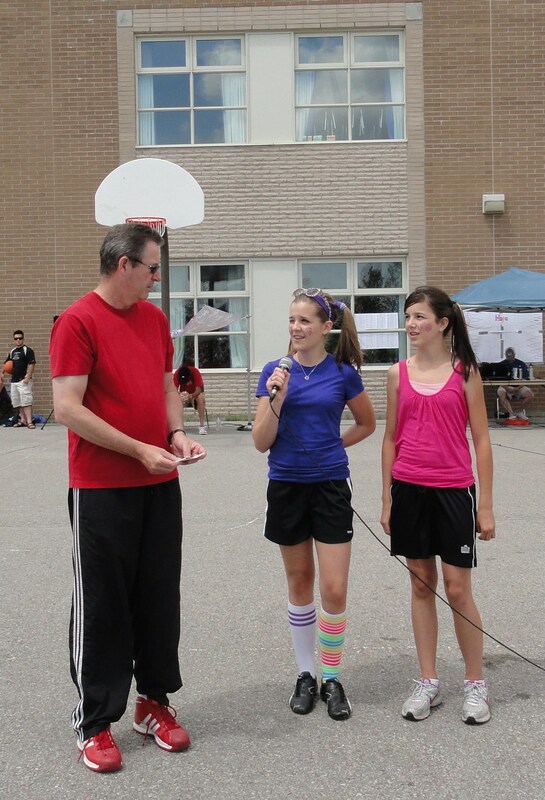 This last event, held May 26, took place at Eastdale C.V.I. and was coordinated by their amazing teacher/librarian John MacDonald and Isabelle Hobbs, the Librarian Consultant for DDSB, along with the help of a dozen student leaders from the school. 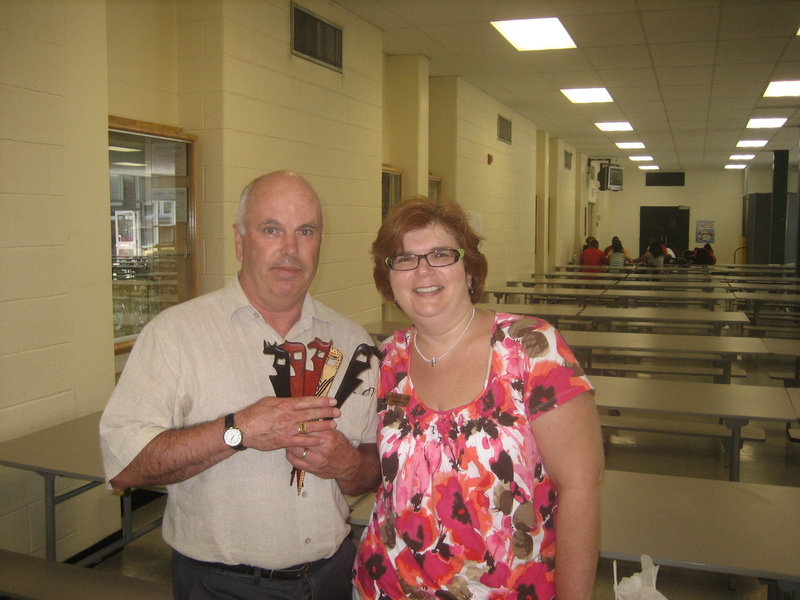 There were four presenters that day included Richard Scrimger, Michael Wade, Teresa Toten and myself. We presented to over 700 students from schools across the Durham board. 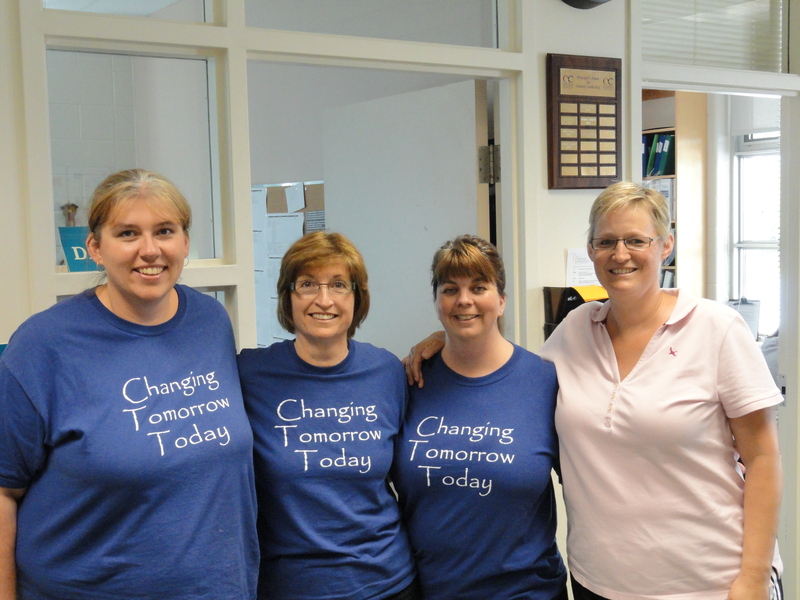 It was a wonderful day that raised over $4000.00 for The Creation of Hope! At the event there were also three additional donations. 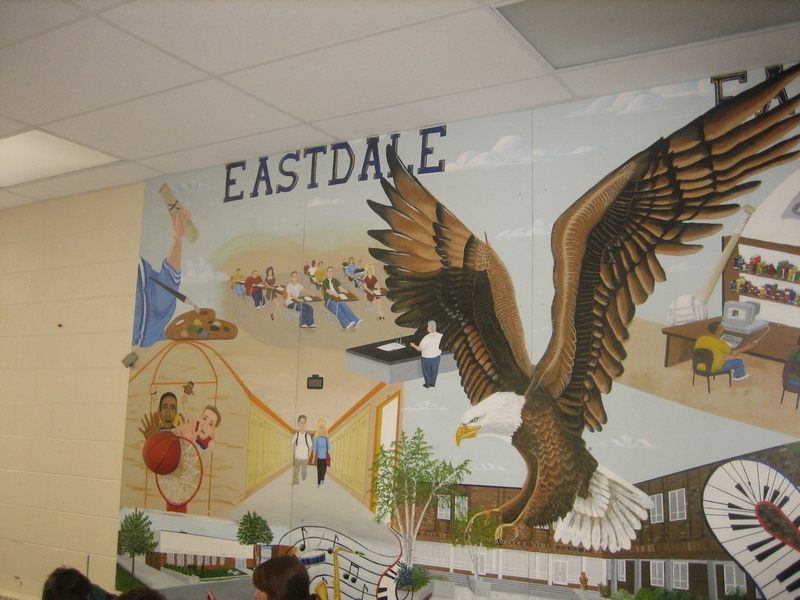 Eastdale students were not only the hosts by collected $250.00! One class at the school, Mrs. Musial’s class did a coin drive and raised $67.88. And finally, last but not least, our good friends at Alexander Graham Bell, under the leadership of Barb Kettle, donated another $316.00! The day was just minutes over when John MacDonald, the driving force behind this day, asked if we could do it again next year. The other thing that happened as the students were leaving the presentation, is something that always touches me. A number of students came up to me, emptied their pockets and handed me their change. In these cases the amount was not much, but it was all that they had – which makes it so important. 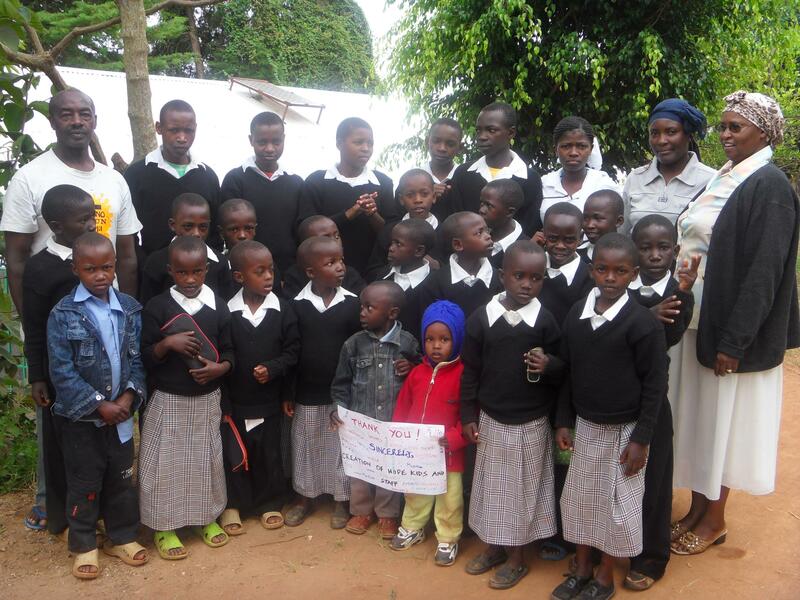 Between these students, plus earlier in the month a teacher at Marion Hilliard Senior Public, with the TDSB, a student at Glendale, and students at Bishop Smith Catholic High School in Pembroke, who did the same last week, there is now $89.75 more going to help the orphans of Kikima. These small gestures will result in big things for somebody half a world away. 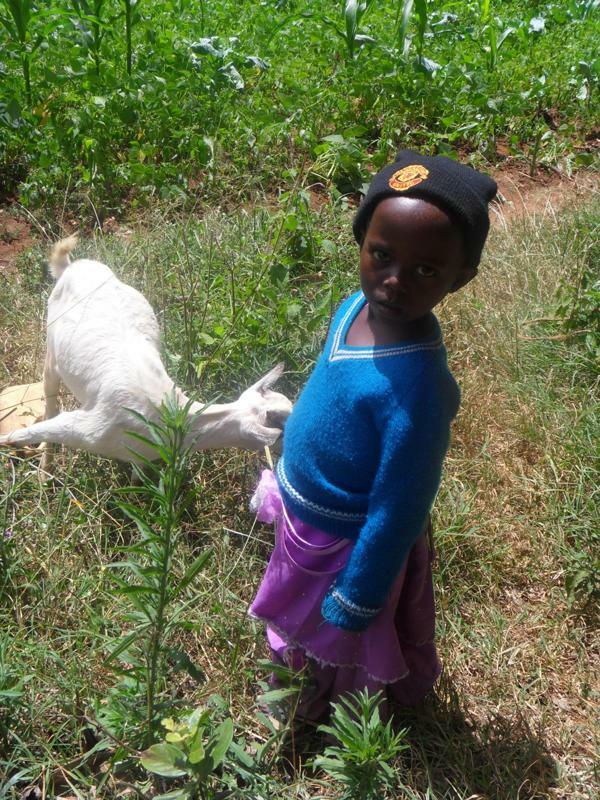 We have to remember that amount of money equals almost 18 blankets, or two goats and a chicken, or a goat, a set of tools, three blankets and a chicken for a family. A little bit of change makes a big change. One other student made a personal donation. Last March I had the great fortune to present to schools in Japan. I have recently received a donation from a young man from Japan. Below is his letter. I am an eighth-grade student at St. Mary’s International School in Tokyo. I recently won our Middle School Science Fair and was awarded $300. With the award money I decided to use $250.00 toward buying new headphones. But I also was very touched and inspired by your efforts to improve the lives of young children in Kenya, so I decided to donate $50.00 towards your program. Even though my donation might be a small amount, I hope it is enough to satisfy and put a smile on a child’s face. In February, my Grade 9 English class had the privilege of watching your inspiring presentation about your charity, Creation of Hope. We were touched by the stories you shared with us and felt called to action. As a result, we had a movie day in our classroom. The students chose Slumdog Millionaire as the film they wanted to view, given that they were raising money for those less fortunate than themselves. 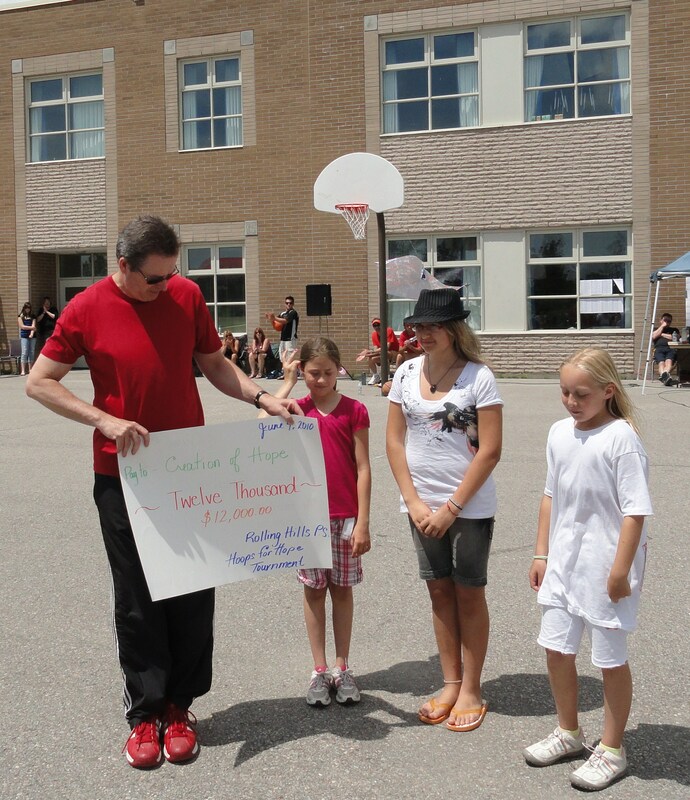 From this event, my students raised $100.25; I have enclosed a cheque for your charity in that amount. My students discussed at length where the money they raised should go. They finally settled on school uniforms and solar cookers; however, they also felt that if there is a more immediate need than the money should go there. We are happy to be able to contribute to your cause. 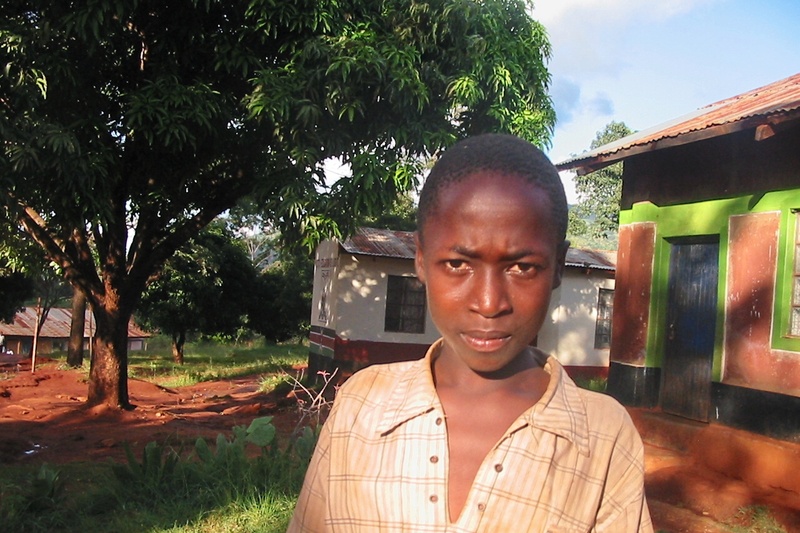 Thank you for your efforts to improve the lives of children in Kenya. I am so pleased that we could help in our small way; my students learned a valuable lesson about putting their faith into action through learning about your charity. 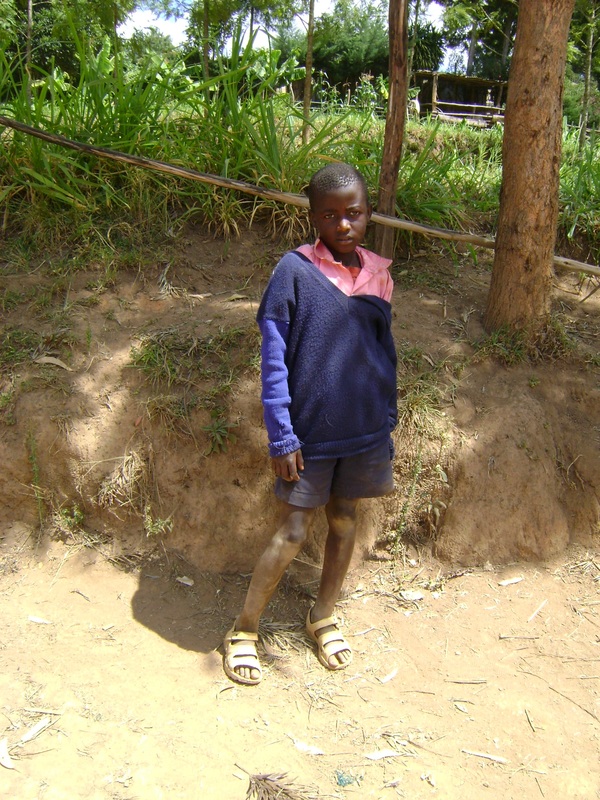 In previous updates we’ve mentioned how people in Kenya are stepping forward to help support the orphans in their midst. Below in the sponsor section you’ll see the incredible support being offered by new sponsors, but I also wanted to mention something that has been going on quietly and continually throughout the Mbooni district. Three times a yea all of the Africa Inland Churches throughout Mbooni hold a special donation to support the orphans. These churches are all under the direction of our wonderful friend Reverend Philip. Between the donations last September and this past February they donated over $2,200.00. This money was used to help orphans in need throughout the region but also given directly to The Creation of Hope project to provide a plastic water tank and rain gutters for the residence. This is such an incredible act of generosity from people who have so little themselves, giving to help those who are less fortunate. It’s difficult to even begin to describe what the staff, students and parents of Rolling Hills have done, and continue to do. 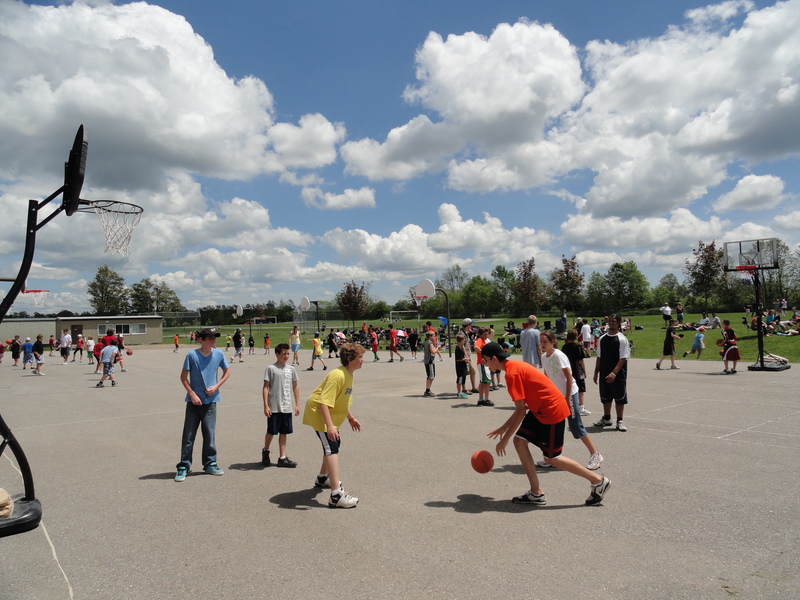 Last year they held the first annual Hoops for Hope fund raiser. Through their efforts the majority of the money necessary to build the children’s residence, Rolling Hills Residence, was raised. 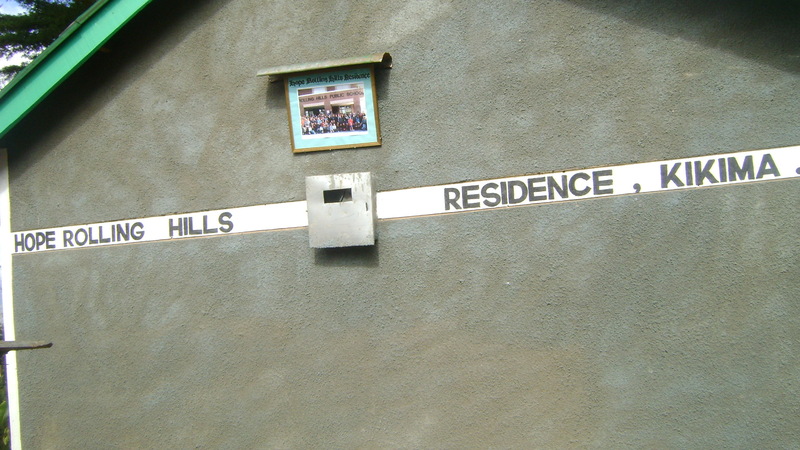 The colours of our children’s home are the colours of Rolling Hills School and a picture of these incredible children hangs above the entrance to the building. The first fourteen children moved in last September. It was originally designed to be home to 16 orphans. There are now 24 children. We decided that we needed to look at an expansion of the home. The Rolling Hills community has now again stepped up. This expansion will be named after a special person associated with Rolling Hills. More details will follow as the expansion takes place. – as well as a continuous music coming from a great sound system which produced some pretty impressive dance moves as well. The whole school was dancing to K’naan’s Waving Flag. The line from the song – When I am older I will be stronger – makes me think how strong these kids already are! There was so much more to the day though than basketball, dancing and fun. 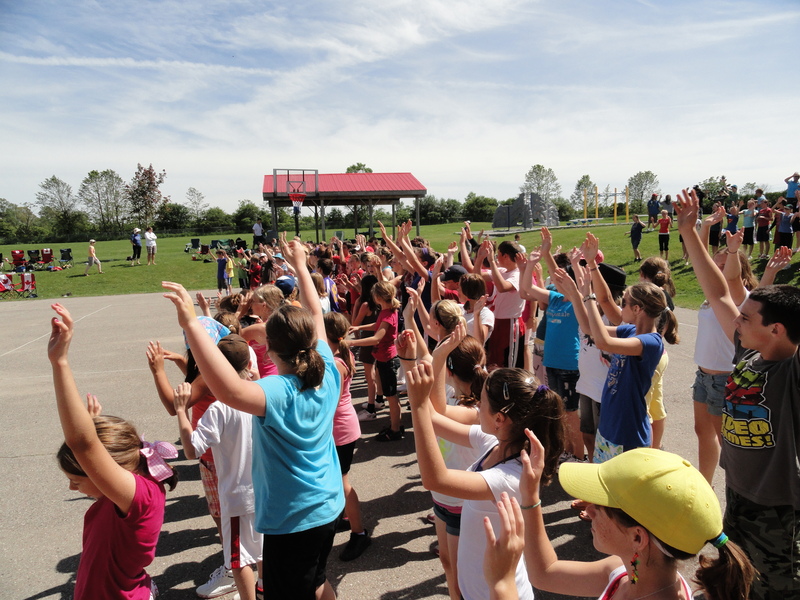 The school raised an incredible $12,000.00! This included the work of the entire staff and student body, but special recognition has to go to five young ladies, Kyla and Lorelle, who raised $1000.00 on their own to be used to dig a well on the property of the children’s residence, and the three top fund raisers, Megan, Caitlin and Danica, who raised, respectively, $505, $583 and $637. Rolling Hills School is an incredible example – the best example I know – of staff, students and parents working together. I’m almost hesitant to single out individual people because this is the product of everybody but I’m going to do it anyway. This project is driven by the passion, power and determination of Abbie Wright, pictured below, with three amazing people at the school who are ongoing sponsors of children in our program. This summer I will be at the Rolling Hills Residence in Kikima to witness all of your thoughts, actions and fund raising efforts being put into place. In the end I have no more words to say, except Thank You. This summer I will again be traveling to Kenya – this time along with my daughter Julia and her friend Megan – to help with the major projects, including expansion of the children’s home. While I am there we will be officially opening the first library in the entire Mbooni District – The Christena Gay Library (named after my grade 5 teacher), identifying and beginning a number of water projects, connecting with EVERY child in our program, holding discussions about our future plans and being part of the building of the expansion. We will be bringing parcels to many of the sponsored children, special requests, and hopefully another computer for use by the children of Rolling Hills Residence. Please note that all expenses for travel and while we are there are, of course, covered by our personal finances. Not one penny from donations would ever go for anything other than direct service. We will be able to bring back stories, pictures and strengthen the wonderful connections between our friends in Kenya and the people of Canada. 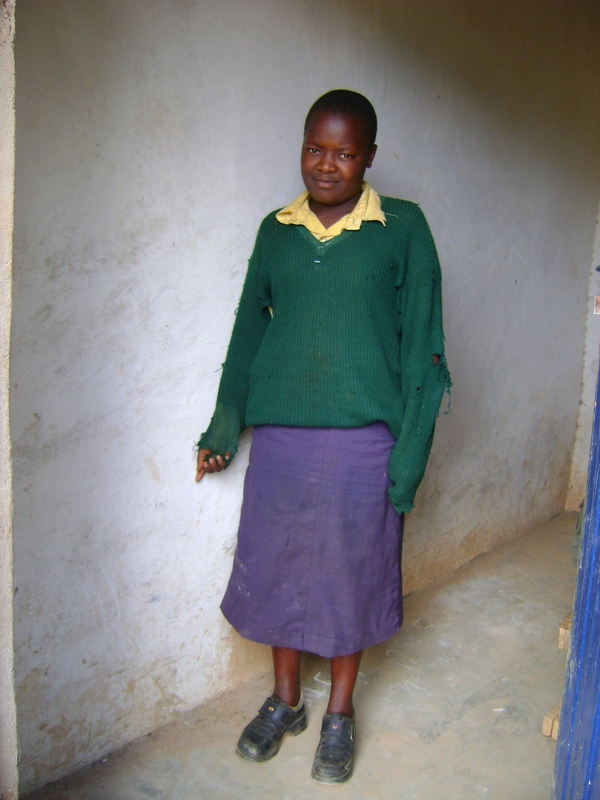 Rumeet made another trip to Kikima this month to continue to move forward the work being done on the Education Centre. The building is finished, the furniture in place, the curriculum for the teachers being prepared, and plans are for it to open – to train the first teachers – beginning during the summer months. We’ll keep you updated as this incredible project moves forward! All of the amazing things that have happened in Kenya have had many roots here in Canada. One of the strongest roots – a foundation on which we’ve been able to build – involves our partnership with Africa Inland Mission (AIM). For me, organizations are simply the people you deal with. In this instance it is two remarkable people – John Brown and Julia Trotter. So much of what has happened would never have been possible without them and I truly value their advice, guidance, support, caring and wisdom. Their individual experiences and expertise, combined with an organization with decades of working in Africa, has allowed us to follow a route that has led to such incredible success. To them I say, simply, God Bless you. Below, with permission of Julia, is a letter she wrote that went out to all of our sponsors after she visited the program in Kikima. If you are receiving this letter it is because over the last 18 months you have helped to make the Creation of Hope project possible. 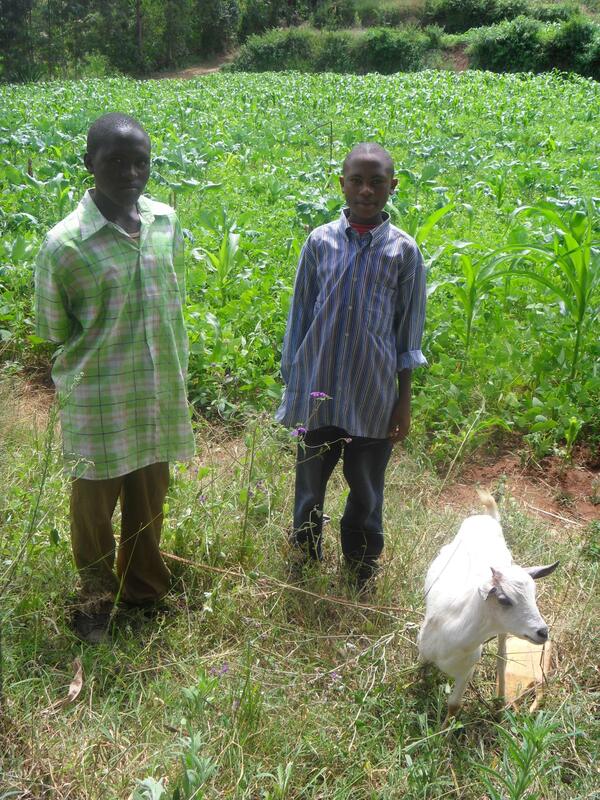 Thank you for your part in creating hope for orphaned children and their communities in Mbooni Region, Kenya. Until now, aside from a thank-you letter and your donation receipts, you have not heard much from us – Africa Inland Mission (AIM). That is because we know that Eric Walters and his family and the team in Kenya are doing a fabulous job keeping you updated on all that is happening in Creation of Hope. I do hope that you have taken advantage of the monthly updates and photographs available online at creationofhope.com. Nevertheless, I have decided to write to you now to tell you about the wonderful trip I had to Kenya earlier this spring to visit Creation of Hope. When I arrived, Ruth and two key leaders from the Regional office of the Africa Inland Church (AIC), Mr. Kiio and Rev. Muia, had organized three days packed full of activity. They are so excited about what is happening through Creation of Hope and they wanted to show me as much as they could of what the church and community have accomplished over the last 18 months. Let me share some of the highlights. Right beside Ruth and Henry’s home is the Rolling Hills Residence and the James R. Henderson Dining & Reading Hall. As a result, I had the great privilege of meeting the 21 children living there and to hear their aspirations and their beautiful singing voices. It was fun to be present for Mulwa’s birthday party on Friday night. In a country where people seldom make a fuss over birthdays, it was a real treat for the kids to get a special dinner and a piece of delicious birthday cake. For those sponsored children living with guardians in the community rather than at the Hope Centre, monthly distributions of food help the families to get by. They all gathered for a distribution while I was there, and it was a privilege to meet the aunts, uncles and grandparents who have taken orphans into their homes despite their own desperate needs. It was especially neat to see Kate Dawber, who was volunteering in Kikima at the time, meet her dad’s sponsored child for the first time. We were also able to visit the Toor Centre for Teacher Education, a brand new college opening this month, which has been made possible through the Creation of Hope project. Thanks to the donation of some old church buildings by the AIC congregation at Nzeveni and generous gifts from Ms. Rumeet Toor and Mrs. Baljit Toor in Canada for renovations, young people in Mbooni Region who want to become teachers will soon be able to get the training they need without the burdensome expense of enrolling in an urban college. I also had the joy of hiking over a mountainous trail to the village of Utangwa, where the first Creation of Hope water project took place. With professional input from the local water officer and donations from Canada for concrete, pipe and skilled labour, the community gathered the rocks and sand needed to cap a communal spring. Now, instead of a chaotic pool where livestock wallow while women collect water for their cooking, two beautiful streams of clear water flow from pipes that are just the right height to fill up jerry-cans. And I can tell you first-hand that the water tastes excellent! Back at the Hope Centre, I was pleased to meet some of the other “kids” who are part of the project. 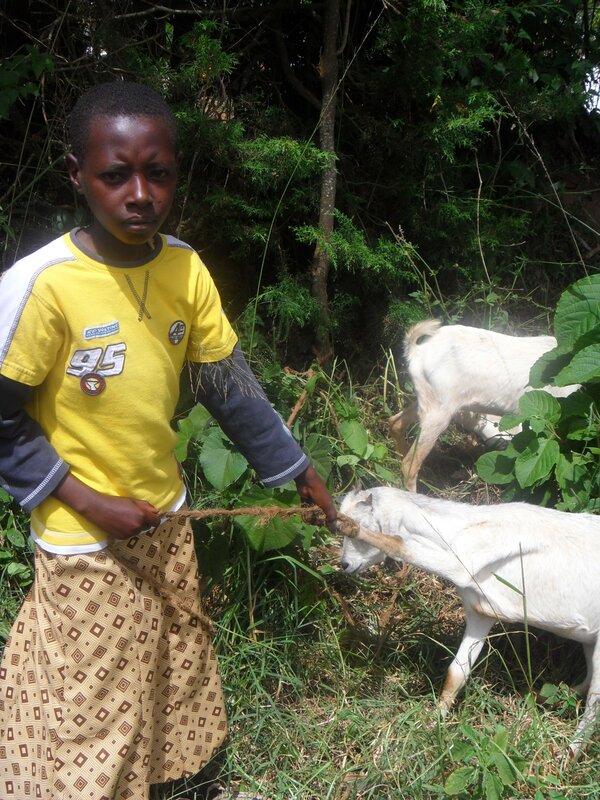 The Goat Academy run by Henry Kyatha is a great tool, both to teach the sponsored children the valuable skills of caring for livestock and to give them something of their own – a goat – when they graduate from Hope’s care in the future. Again, let me thank you for the part that you have played in making this project what it is. I hope I have given you a taste of the amazing things that are happening as we work together to transform the lives of orphan and needy children and their families and communities. Kay will write more about these lists below, but I enjoy them, and the pictures so much, that I have to put in a couple of pictures. 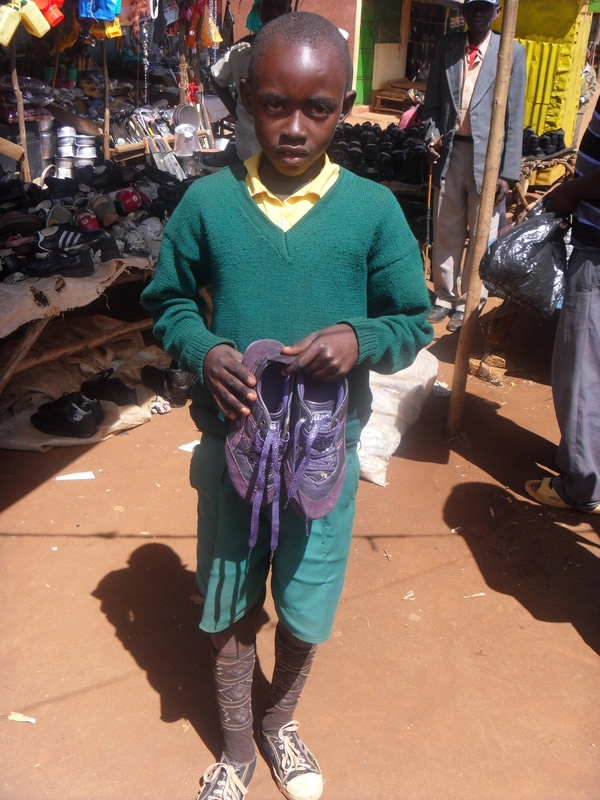 We have had wonderful success in people coming forward to grant wish lists for deserving orphans. We always get back to the person who granted a wish list a picture of the child with that wish list. We’re not going to show all of those on our updates, but below are two children receiving their items. 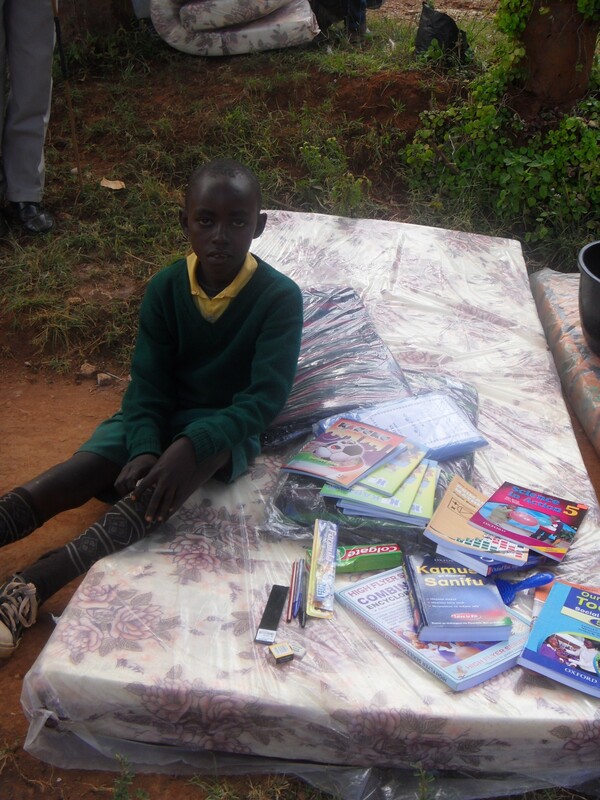 This is Peter receiving the wish list that was funded by Barb Miller. 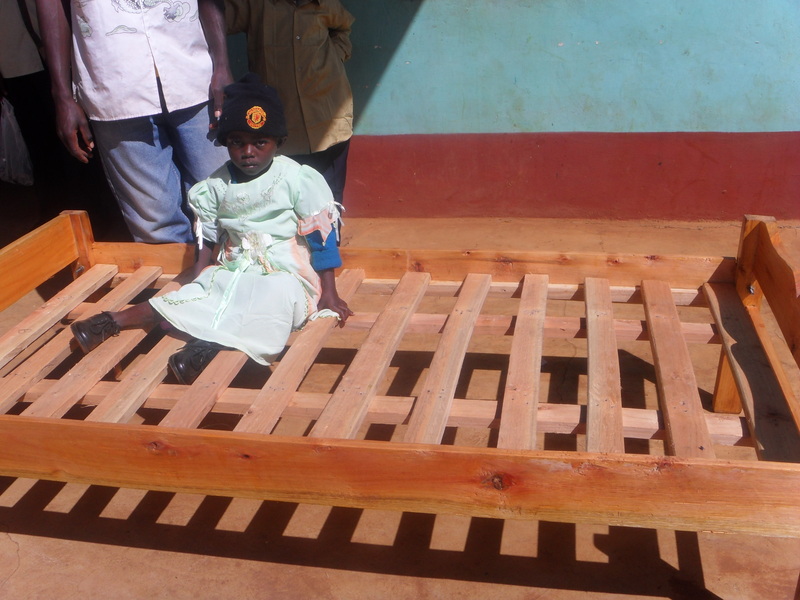 Part of the wish list – a bed – for Nduku – provided by funds from the students of Alexander Graham Bell. Goats, goats and more goats! We have invested in providing additional tutoring for the children at Rolling Hills Residence. For many of these children, prior to coming to live at our residence, school attendance was problematic because either they couldn’t afford school fees, didn’t have a uniform, were forced to miss school to help support the family or didn’t have text books or school supplies. Below you can see how their marks and position in the class have dramatically improved since their arrival and receiving this extra help. Additional food costs for month: With more sponsors coming on each month the amount of shortfall continues to be less and less. This month it was $115.00. This was provided by funds previously raised by Highland Secondary School. Matron’s salary: Each month Serah, our wonderful matron, continues to provide outstanding day-to-day care for the children of Rolling Hills Residence. She receives help and support from Ruth, Henry and the older children in the home, but she is the house mother of 24 children! Imagine caring for the daily needs of a house full of that many children. 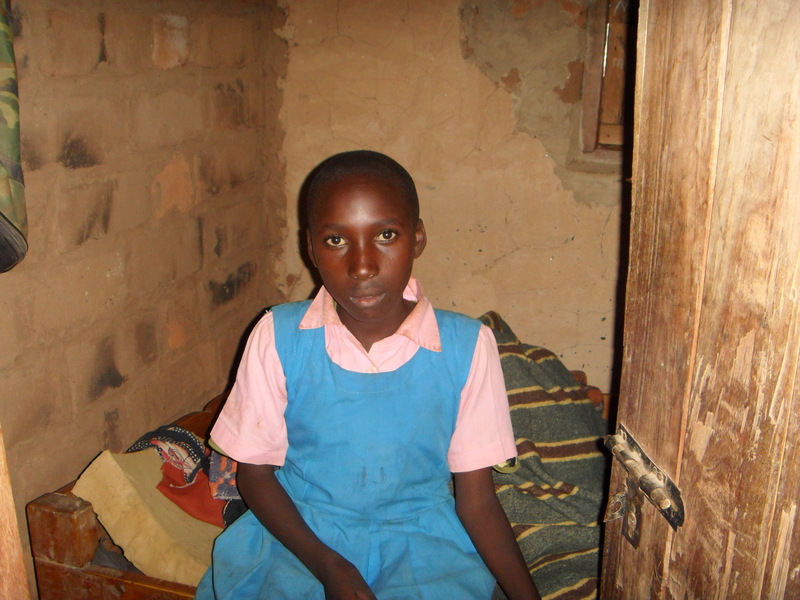 Her monthly salary – $100.00 – was provided this month by funds raised by Medicine Hat High. Below, in detail, Kay will discuss the new sponsors. 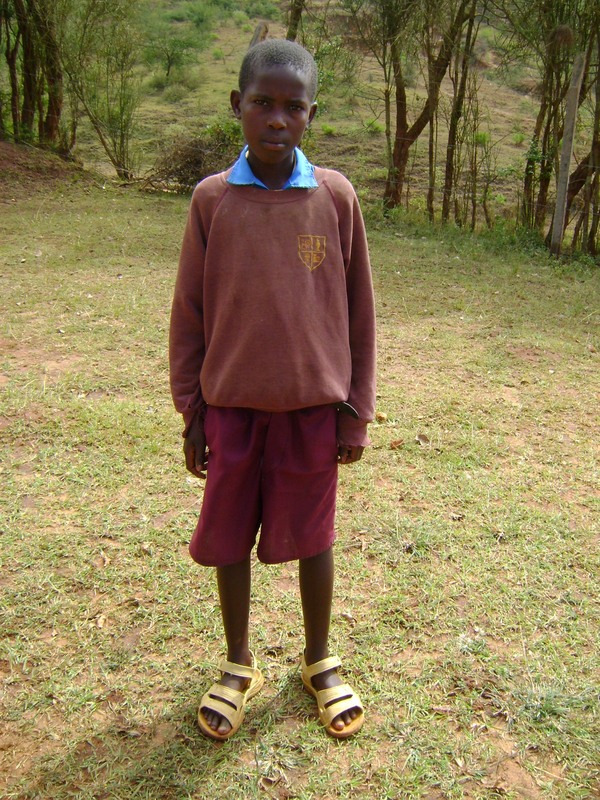 We are pleased that many of these new sponsorships are coming from Kenya! It is one more sign that our program is seen as credible, trustworthy and valuable to people in Kenya. 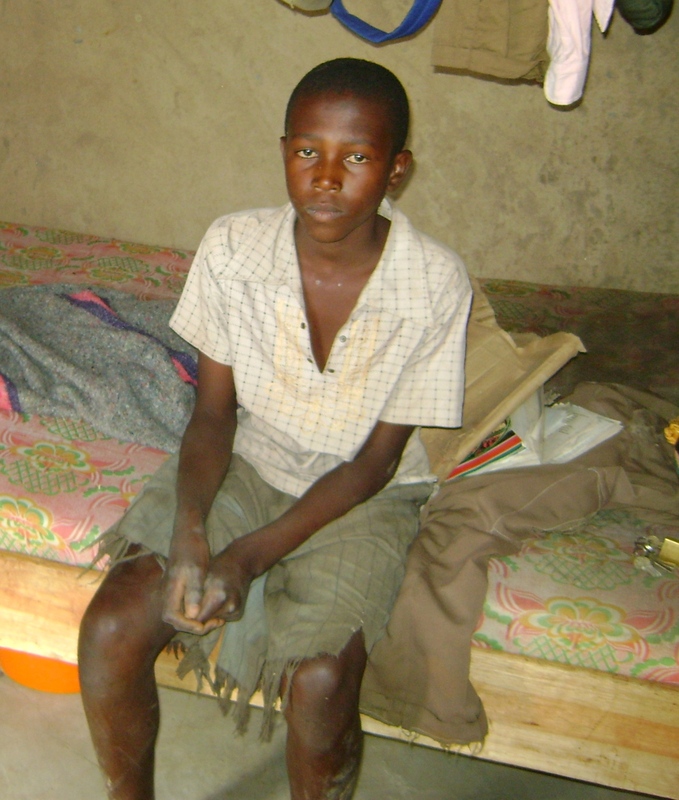 And finally, a thank you, to all of you for helping, caring, supporting, working, from The Creation of Hope in Kikima. I think I must have done a great job on the previous and very first update that I have ever done, that Eric asked me to do it again this month. I see he is slacking on the job, eh (and if I become very good at it, it might become a full time job!!!! Yikes!!!!) Just kidding Eric. 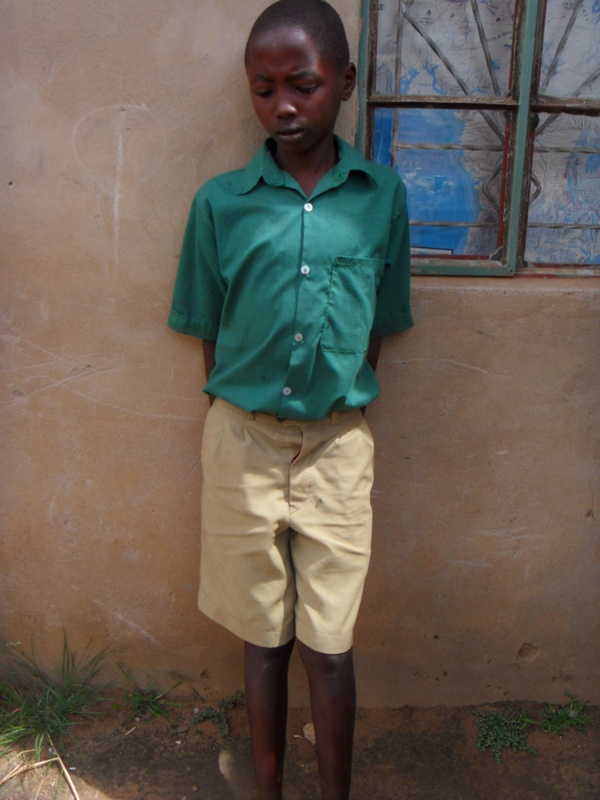 To start us off this month was Barb Miller who is sponsoring Mutinda Mativo and she also provided money to fulfill Peter Katana’s wish list. This time round, sponsor of the month goes to …..(drum roll please)….the MULI FAMILY!!!! I believe it will not be considered nepotism if I nominate the Muli Family as sponsor of the month. I am sure you will all agree with me after you read what they have done for this project. It started with my Auntie Esther telling me she wanted to sponsorTHREE kids and I got that phone call at 9am! I’m telling you there is no better way to start the day then to know that the lives of three more children have been positively transformed through the generosity of someone. Peter Katana, Muthoka Muendi and Mugambi Kariuki are now sponsored. 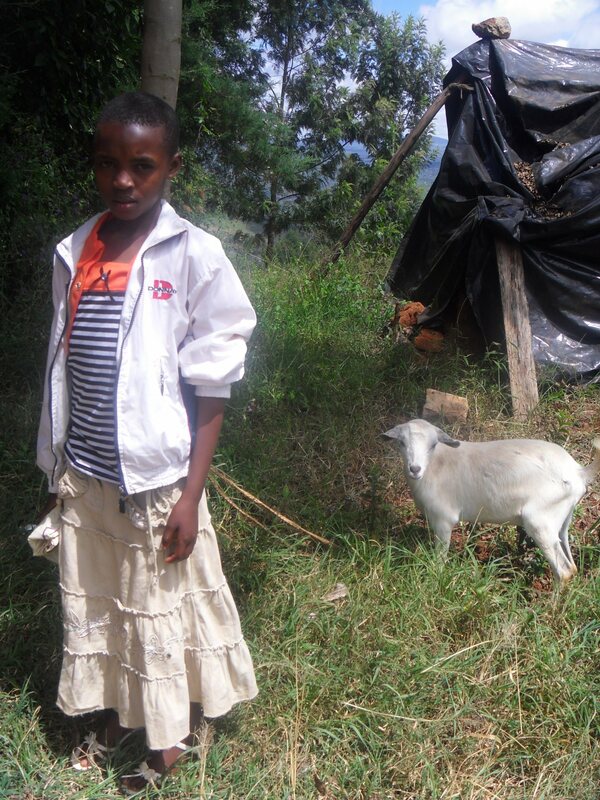 Mom, not to be left behind by both her daughter and sister, also decided to sponsor a child and therefore, Christopher Mule now has a sponsor. When they came for the first food distribution, the grandmother was so happy that she promised to bring a chicken for her, a thank you gift. Its heart warming to see people who barely have enough for themselves willing to share with others, the little they have. Then, one afternoon, a couple of days after Eric had sent out the email to pass the word around to identify more potential sponsors, mom called me and told me to sit down as she had unbelievable news. Off course I didn’t heed her warning because I didn’t think she could tell me anything that could shock me to the point of needing to sit down (of course, needless to say, children – no matter what age, still don’t listen to their parents – I am living proof. But the fact that I am still living should justify my actions, don’t you think?). She then proceeded to tell me that Kaleche (my cousin), was going ahead and sponsoring not ONE, not TWO but FIVE CHILDREN!!!!!! Maundu Mwanza, Ndinda Mwanza, Kitoo Kariuki, Mutie Luka and Mirriam Ndanu, welcome aboard! At first I thought I hadn’t heard correctly so I asked her to repeat. And of course, I had heard correctly. And maybe because I haven’t been party to such generosity, I asked mom whether Kaleche understood that the sponsorship was between $30-$60 PER MONTH, and she told me that yes, she did. WOW. 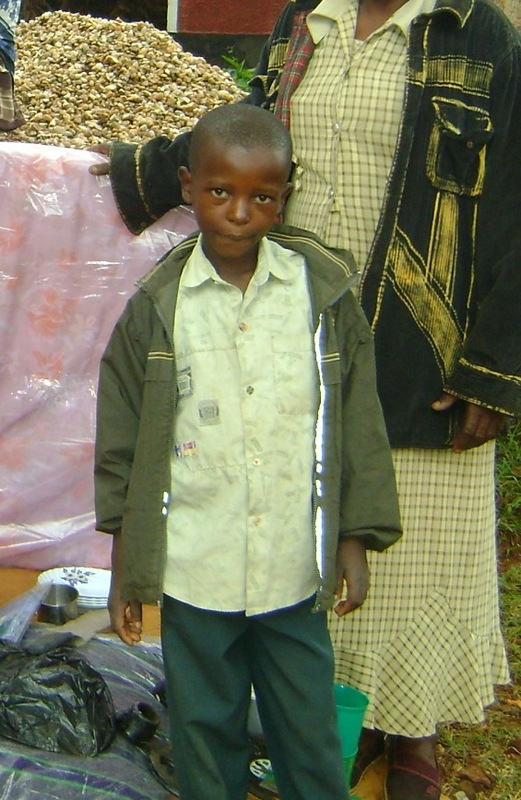 So now, of the 62 currently sponsored children that we have, 13 are locally sponsored, and 9 of those are through the Muli family. 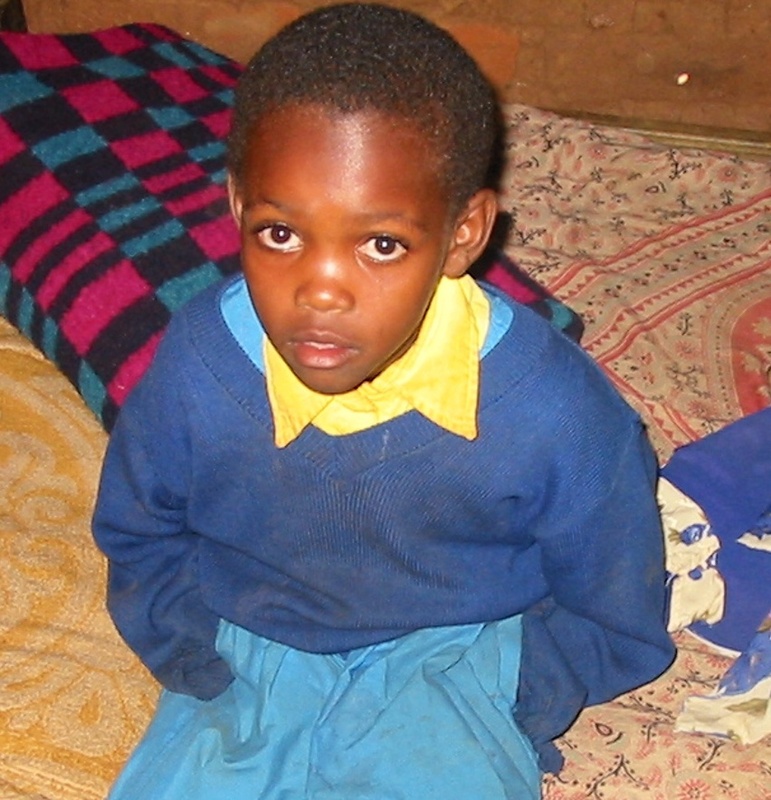 (Kaleche’s sister, Koki, is already sponsoring a child, Mwendwa Mwende). A huge round of applause please! I am not keeping track, but I think this must be our best month yet in terms of sponsorship. 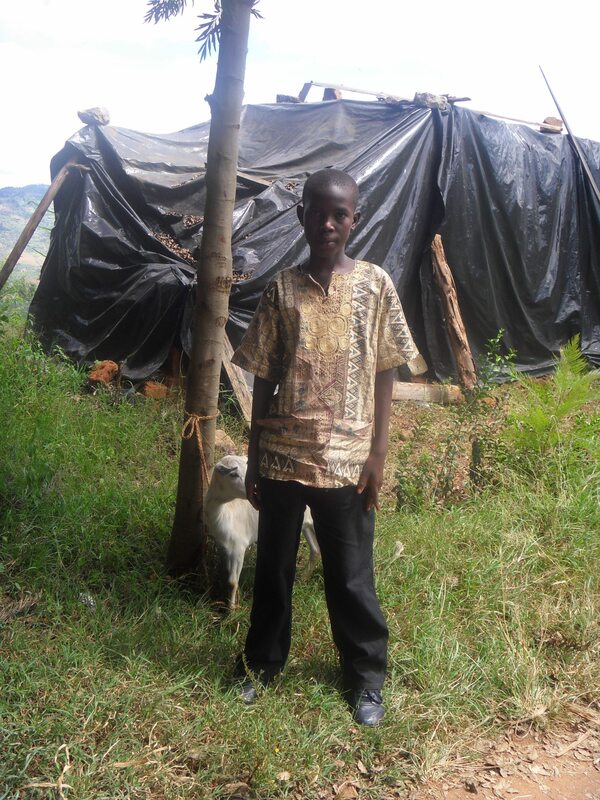 A fresh list of children needing sponsorship has now been posted on the website. Kathy Kay wrote and asked if her class could fulfill a wish list from a raffle they were planning and now Syombua Mueni is a very happy girl. Thank you all, for making this month another success.